Dr. Brad Wheeler leads university-wide IT services for IU's eight campuses. He has co-founded and led many multi-institutional collaborations with his current work focused on the Unizin Consortium, Kuali, and IU’s mass Media Digitization and Preservation Initiative. 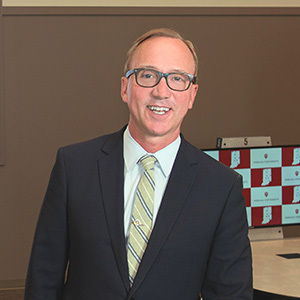 He recently served as the interim dean at IU’s School of Informatics and Computing and on the board of IU Health Bloomington Hospital. EDUCAUSE Board, 2009-2012, Treasurer 2010, 2011.